The first cases of Ebola virus disease (EVD) were registered in Africa’s Sudan and Congo, and since then it has spread by contamination and human-to-human transmission to several parts of West Africa and surrounding regions. Hailing from the Filoviridae family, the disease is incurable and, most often, fatal. 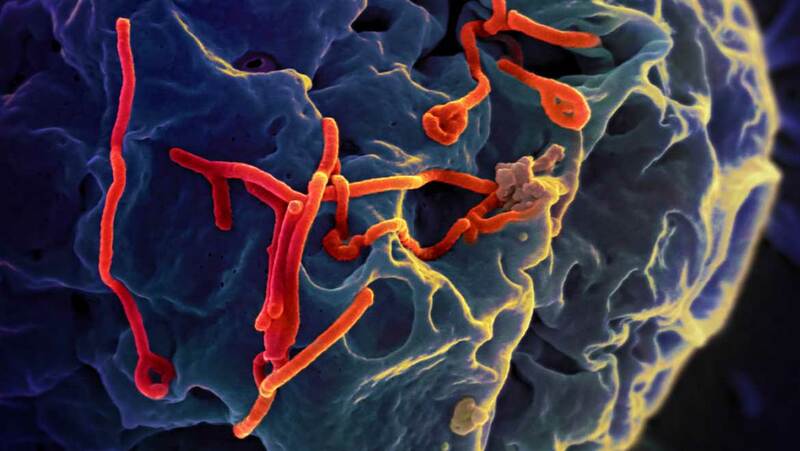 In an attempt to stop the virus in its tracks, scientists at the University of Copenhagen and Phillips Universität Marburg in Germany have successfully inhibited the Ebola virus in cell cultures by manipulating its host factor enzyme, PP2A-B56. This study has been published in the Molecular Cell journal. On entering the body, the pathogen first affects the patient’s immune system, specifically the T lymphocytes on the dendritic cells, which are usually responsible for creating an immune response. With the T cells failing to produce antibodies, the antigen can then start replicating at a rapid rate. On a deeper level, the Ebola virus requires the host enzyme, PP2A-B56, which is present in all human cells, to replicate and produce more copies. On takeover, the virus promotes its own transcription instead of PP2A-B56 regulating the host’s metabolic processes. After the virus breaks through this defense barrier, it affects tissues in the liver, abdomen and adrenal glands by killing cells that produce the clotting proteins, causing oxygen starvation and such. Ultimately, it is the drop-in blood pressure and multiple organ failure that is fatal to patients. The scientists decided to inhibit the activities of PP2A-B56 by using specific peptides to bind to the enzyme instead. This, in cell cultures, impeded the Ebola virus’ ability to transcribe and proliferate. Results from the study showed a 10x reduced EVD infection within 24 hours of the treatment. For therapeutic options in the future, the team is working on developing molecules — as drugs — that when administered could play the role of the specific inhibitors in people living with the infection. Although a promising endeavor, there is yet a great deal of research to be conducted in this area, and also questions to be answered - Will this work on humans? Will this be viable for different strains of the virus? What is this method’s feasibility on other diseases that cause Ebola-like symptoms? Co-author of the study, Prof. Nilsson, was confident that this general approach could be used to eliminate most viral strains of Ebola owing to their similar mechanisms of causing infection.